Why Marketers Should Actively Focus On Memes For Their Social Media Marketing | Wotpost. Memes is not a new word on social media. I vividly remember that I was preparing for my CAT exam when memes got my attention. I don’t know how did I come across these little images with such impactful messages, but one thing is for sure, its been more than 8 years and I still visit Facebook (Do check: best Facebook pages for memes) just for that. There is majorly one thing that made this type of content go viral. And that is they are extremely relatable. The language, the expression, the humor, the head-on take on the feelings(especially the one that resides only inside), everything is clubbed in 1 or 2 sentences with apt image which speaks the entire story. We love the message from the bottom of our heart and thus doesn’t think further to share with our friends. In fact, memes have appealed people to even share their darkest of feelings and thoughts by taking help of humor. Don’t you think this is a type of messaging that should definitely not be ignored by marketers. Especially when the only form of content apart from vague videos that goes viral on internet is memes. Now, if I have to quote how important it is to pay attention to memes, I will give you some most recent real life examples of the power of influence memes have on millennial. PUBG is an RPG game which is compatible with PC as well as phones. Definitely, the game is outstanding and have real life graphics and everything that would amaze a player. But the reason behind their massive success is memes. 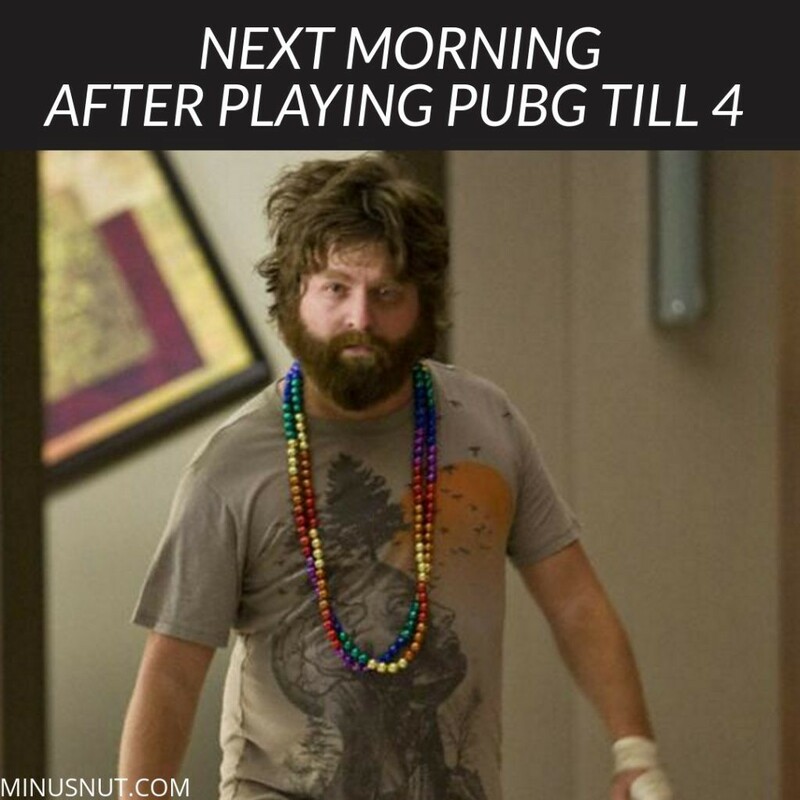 PUBG memes spread like wildfire soon after its release. And this was because of the past influence of memes. Just few lines above, remember I was talking about how their USP is the relatable factor these pictures have. Meme makers very cleverly used that as their play field and did not reveal complete info about what PUBG is in their memes(in 1-2 lines after all how much would you reveal, you will only be able to express your emotion, isn’t that what meme is though?). 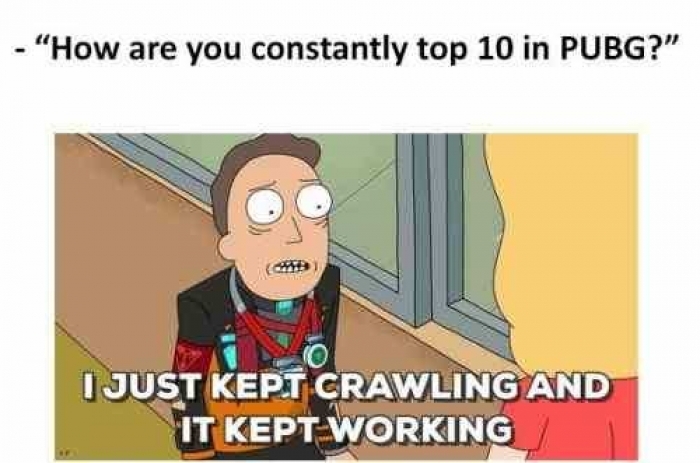 They started making and sharing memes about things that happen inside the game. And a lot of people could not understand what PUBG is what the hell is going on. And one of the biggest issue that was not settling well with us millennial was, we were unable to relate with those memes. So, we did our little research and downloaded the app to try our hands to be a part of this new addition to the cult. The entire world got after this game and went crazy one by one following the same process. An important lesson here is, even if your product is amazing, you would still need marketing to see it grow massively. And that is what happened with PUBG. Great product combined with great marketing activities. So, this was a goody-good example of how memes could help you reach the sky in their own style. Let me share a scenario in which it can also bring you to the ground and bury you so deep that you will never be able to come out of it. It all statred with the trailer. 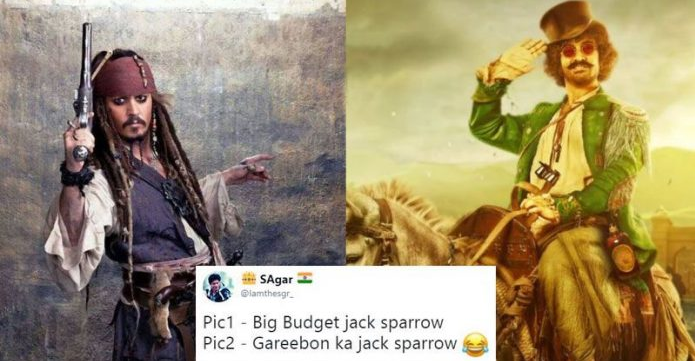 Meme makers trolled thugs of hindostan soon after its release. There were memes that this movie is a desi version of pirates of Caribbean. And not just that, actually cheap version. But this was not the sad part. It actually gave the movie a good start and publicity even though with a little bit of negative PR( or meme PR should I say). Since the movies was anyways riding on some of the biggest names of Bollywood like Amitabh Bachchan, Aamir Khan, Katrina Kaif, I don’t think producers were worried at all. And then sad part came when the movie released. On the first day of its release, movie was among the highest grosser, their PR team got something to curb the negative sentiment. But even that could not help survive the movie longer. The movie was trolled like nobody’s business because of poor script and direction and everything else which was subtly trolled through memes. Within first week, the movie’s grossing dropped beyond recovery. And the credit for that went to memes. Here is a third scenario in which memes helped revive the status of a recent release. It is the latest release and a good case study to be discussed. When 2.0’s trailer came out, everyone was like why the hell do they even produce movies like that. Even meme makers weren’t that interested in trolling the movie as the trailer in itself seemed like a troll. Though, few Facebook pages still shared some funny memes but that ended there. And then the movie released leaving everyone spell bound. Of course, this movie also had star-cast like Akshay Kumar and South’s god-cast Rajnikant. Die-hard fans had to go watch the movie irrespective. And thus, they went. 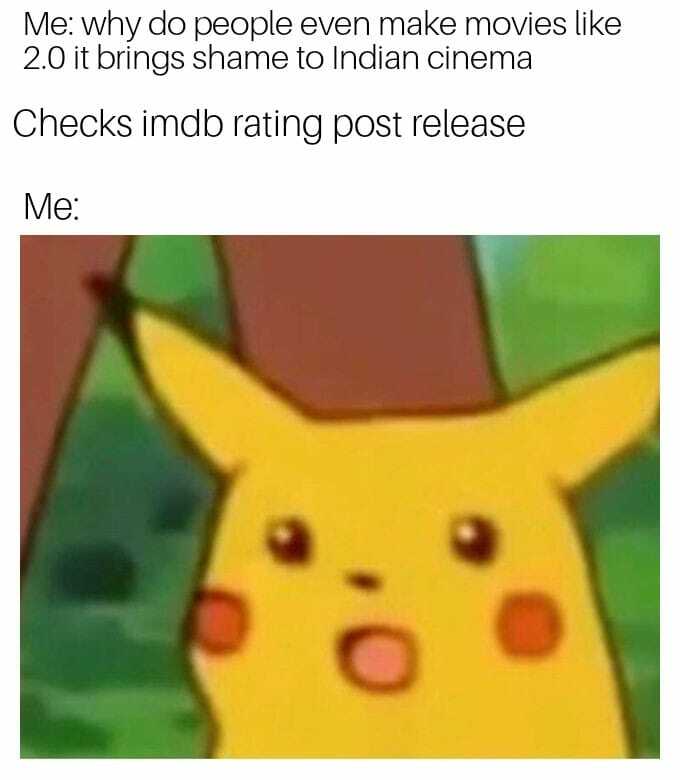 Right after, reviews came out waking meme makers from their sleep. And then we saw memes coming out like these which helped movie revive its status and is doing well in theaters even after a not so good opening. These are three completely different scenarios where memes have played an utmost significant role in a product’s success, failure and revival. If you are into B2C domain, you definitely need to explore meme marketing. Because, especially on social media if you are looking to gain traction, you need to first become a human before a brand. And if you are worried about the risks that it comes up with, we are here to help you find a way out to promote your brand through meme marketing. Please drop any questions that you have and we’d love to answer that. And most importantly don’t forget to share your thoughts about memes.